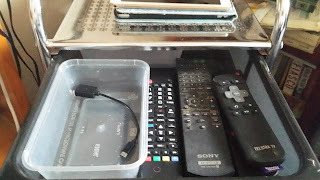 We have this nook between the couch and 2 bookcases where the phone point is and a power point, the dogs really like to curl up there but they keep knocking the phone cable and that makes things fall so we needed to block the corner but still be able to get to the bookcase. We had this 5 drawer storage cart on wheels in our office and it seemed like a perfect solution, we can easily wheel it out of the way to access the books on the bookcase and it is stopping the dogs from knocking the phone cable. 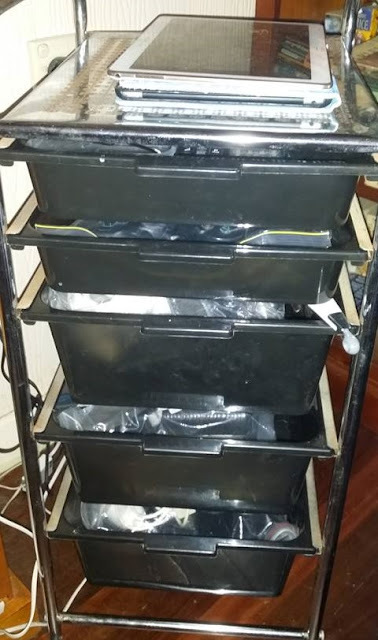 What to put in it so it wasn't wasted storage? Currently our remotes were in a box on the bookcase taking up valuable book storage space and our Game Consul bits were in the cupboard the TV is above. 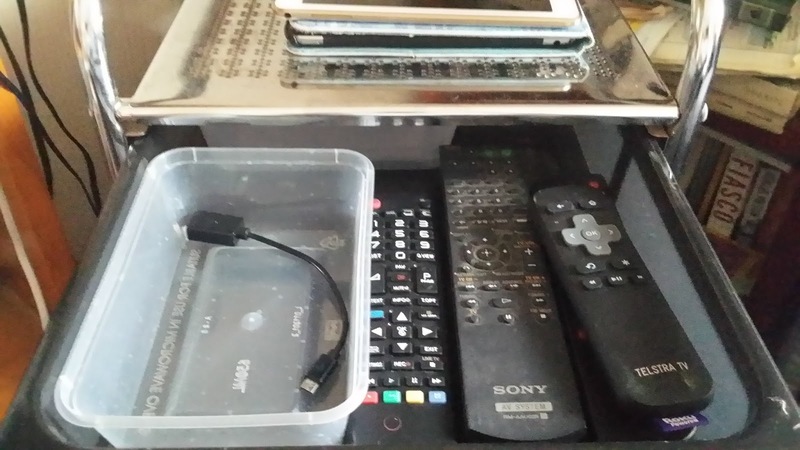 So remotes and chargers go in the top drawer, tablets and even laptops can be charged on the top of the cart. 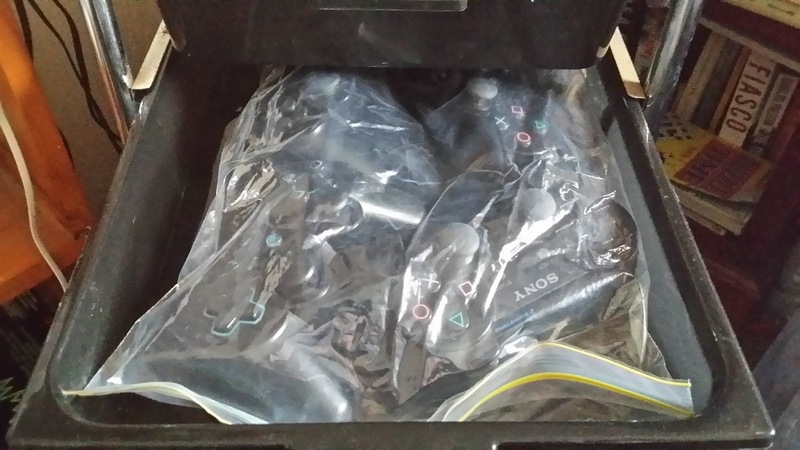 Second drawer has PS3 controllers. 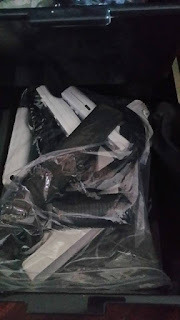 I placed everything that would fit in a ziploc bag that was going in the bottom 4 drawers in a ziploc bag to protect them from dust and dog fur. The bottom 3 drawers have Wii supplies.